Robin Wood is a nationwide nonviolent action group in Germany focusing on environmental activism around climate, energy, forests, mobility. 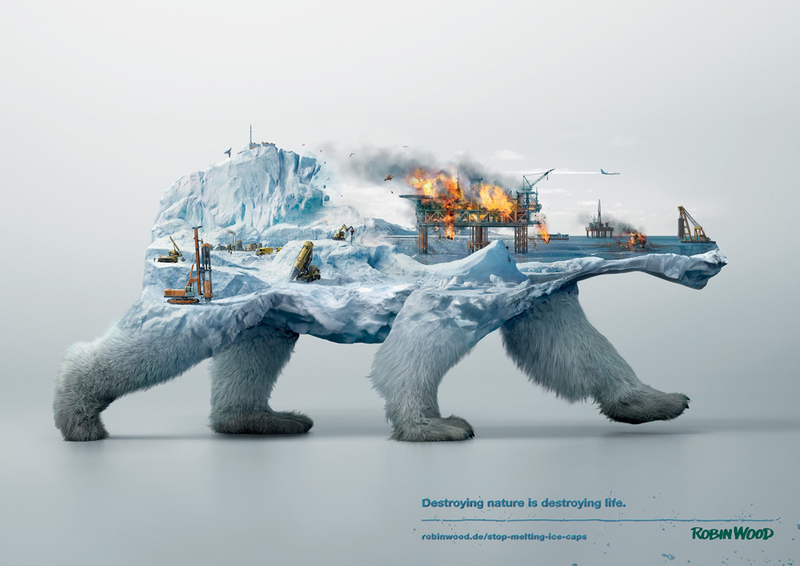 The Robin Wood Disappearing Animals advertising campaign developed at Grabarz & Partner, featuring three disappearing animals, a deer, capuchin monkey and polar bear affected by habitat destruction, has won Gold for illustration at the 2016 Clio Awards. A polar bear’s back is eaten away by the effects of deep sea oil rigs and refineries on melting ice caps. A deer’s back is eaten away by deforestation. A capuchin monkey’s back is eaten away by forest fires. 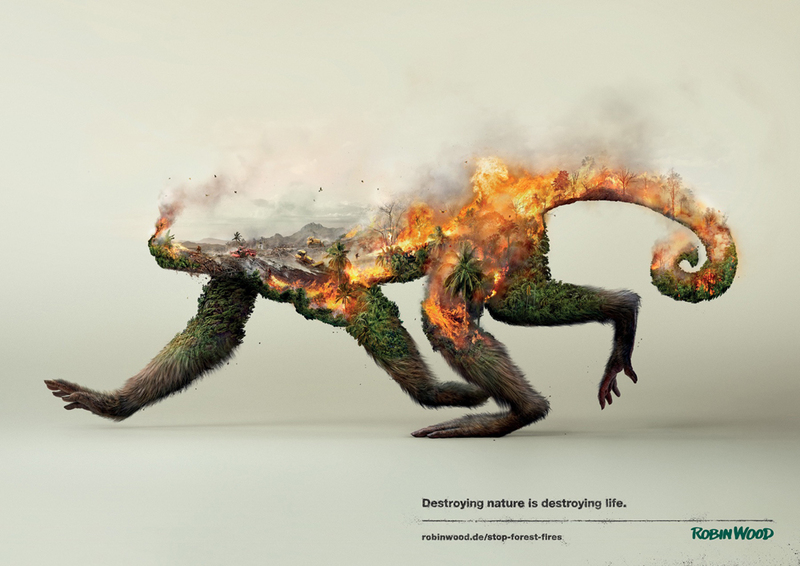 “Destroying nature is destroying life”, is connected with forest fires, deforestation and melting ice caps. The photo-realistic illustration style, the 3D presentation and the wealth of information provided highlight the various causes of the decimation of the animal kingdom. 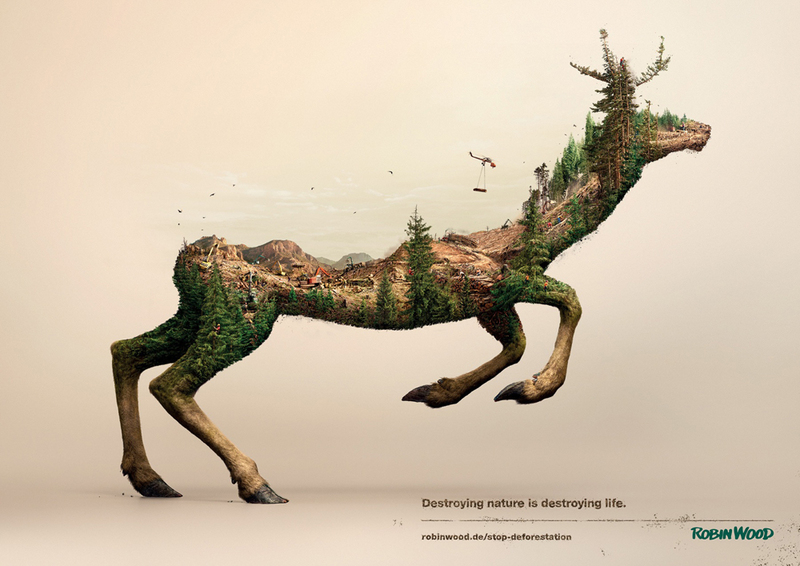 If we destroy nature, we destroy life. The photo-realistic illustration style, the 3D presentation and the wealth of information provided highlight the various causes of the decimation of the animal kingdom. If we destroy nature, we destroy life.